This article was written by Monet Monterosso and was featured in The Fairfield Mirror on February 16th, 2015. “On Feb. 4 in the Aloysius P. Kelley Center, Her Campus celebrated their first birthday by hosting a pink party with both Brittany Lewis (Director of Community Development & Strategic Programming) and Windsor Hanger Western (Co-founder, President & Publisher) as special guest speakers. Her Campus is a digital media magazine that is produced by women for college-age women. The issue is put out online five days a week, and its purpose is to both inform and entertain. 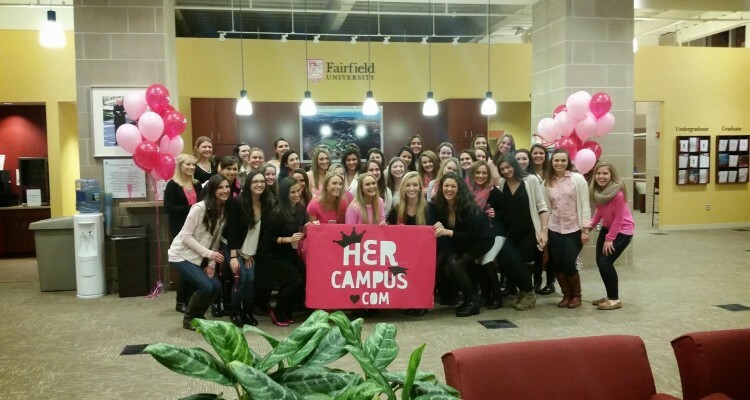 Her Campus Fairfield is led by Amanda McKelvey ‘15 and Danielle Tullo ‘15. Both Campus Correspondents are truly responsible for Her Campus’ successful inaugural year. A year ago, they both felt that Fairfield was missing something in the digital media field and so they brought Her Campus to Fairfield with help from Stephanie Gallo, associate director of the Career Planning Center and acting staff advisor. “I’m here to guide them, but really these two are independent and so strong just on their own,” said Gallo on the passion of the Her Campus team. Her Campus immediately grew into something much bigger than Fairfield. Since the Internet is such a simple tool to reach out to many people, that is exactly what it did. Before the celebration of their first birthday, both Hanger Western and Lewis spoke about their own personal experience with Her Campus and their strength as a woman. The talk given by the two speakers had a big impact on the Her Campus team, both professionally and emotionally. 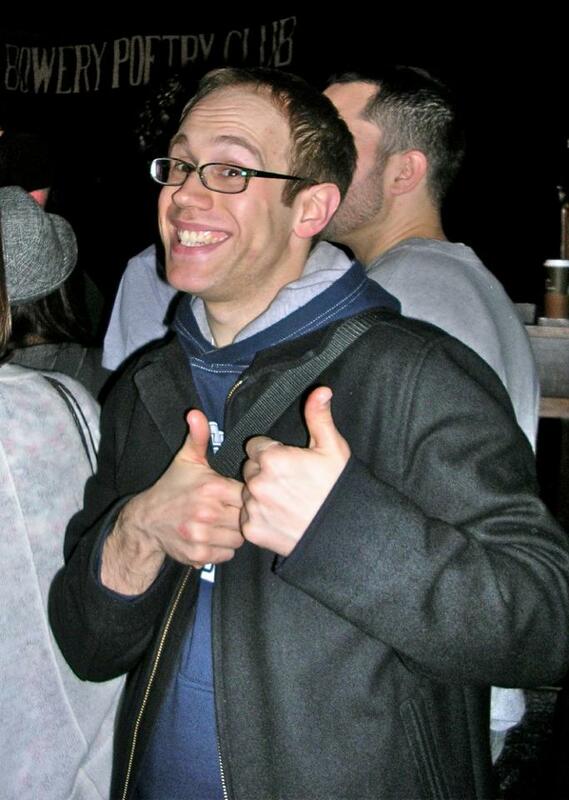 “I really liked how they touched on the topics of resumes and cover letters. As a freshman we don’t know a lot about it. They mentioned great tips and advice for the future,” said Adelyn Galang ‘18. In addition to professional advice, the speakers also increased the morale of the group, leaving many members feeling empowered after listening to Lewis and Hanger Western speak. “It’s really important for college women in this industry to hear from women who came from the ground up. Being a freshman it’s so nice to hear from such influential women,” said Caroline Metcalf-Vera ‘18. “I enjoyed how they both focused on women empowerment. We need to be inspired,” added Katherine Duncan ‘18. Both speakers continually praised what the progress Her Campus has made at Fairfield in just one year. Fairfield is among 13 schools internationally recognized as a Pink Chapter, which is the highest level attainable. This feat truly impressed the Her Campus representatives. Additionally, Her Campus Fairfield has started a new program with Lord & Taylor, which allows hands-on experience in career paths that are of interest to the Her Campus team. The Lord & Taylor program is a collaboration between Her Campus and Lord & Taylor. The point of this program is to promote Lord and Taylor for the collegiettes on campus all over. The reason why Lord & Taylor was chosen for this program is because this department store gives power to women being the first department store to ever name a woman as president. “I was apart of the Lord & Taylor new program that we have here and it’s a great hands on program starting with a really good start with getting involved. It’s also really nice to work with a committed and well rounded team,” said Rachel Anderson ‘18. The Her Campus team ended their celebration with a “Happy Birthday and Thank you” toast, cupcakes, a group selfie and lots of mingling. With the celebration at the back of their heads, the Her Campus Correspondents are now left with the hard decision of who to pass the torch to after graduation to continue the chapter’s success. “I need someone that will take care of it and I want to see it grow. Her Campus is about having an outlet to give their passion to for the love of reading and writing it,” said McKelvey.